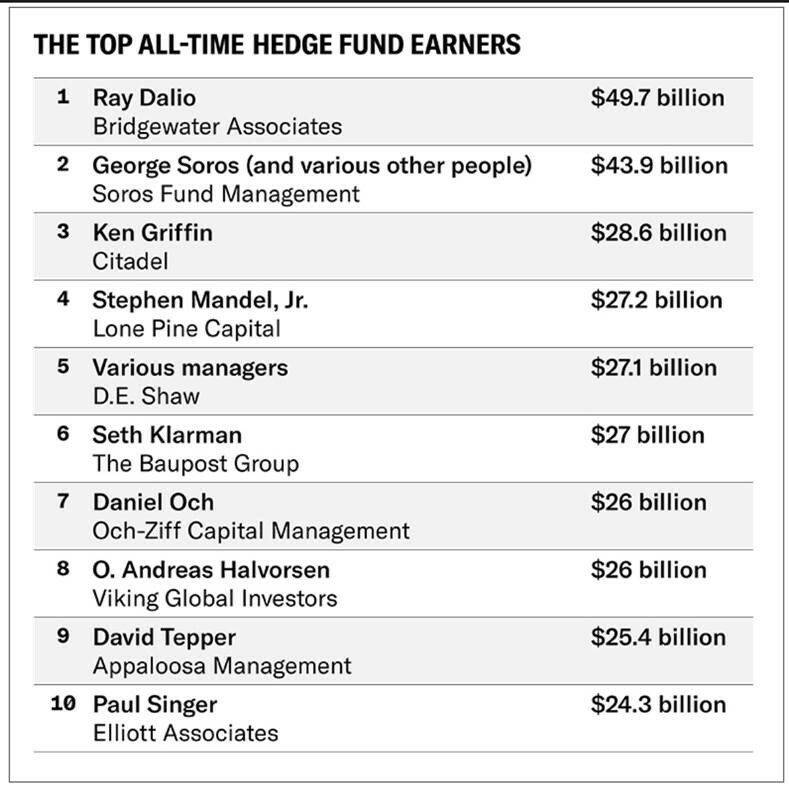 A recent article in Institutional Investor lists the top-earning hedge funds. The list is headed by Ray Dalio’s Bridgewater Associates, the world’s largest firm with $122 billion under management as of the beginning of 2017. George Soros ranked second, followed by Ken Griffin’s Citadel.